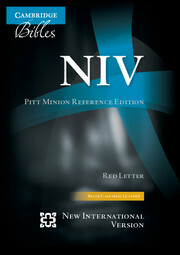 The NIV Study Bible was originally published in 1985 and has since become the best-selling study Bible, with a wealth of resources for students of the Scriptures. 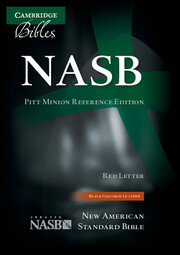 This is the fully revised edition of 2002. The NIV text itself remains unchanged and is supported by thorough cross-references and the NIV concordance as well as extensive notes, now updated and expanded to take account of discoveries made after 1985 in archaeology, linguistics and biblical studies. 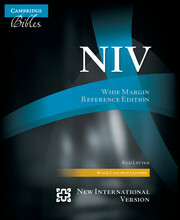 There are also 50 black-and-white maps, 35 charts, essays on biblical genres and topics and introductions to every Book. 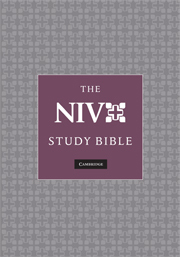 This Cambridge edition of The NIV Study Bible is produced to the exacting standards for which the world's oldest Bible publisher is renowned. 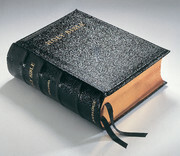 It is printed on high-quality Bible paper with art-gilt edges, includes a color map section and two ribbon markers, and is Smyth-sewn and bound in top-quality goatskin leather. The words of Christ are printed in red. 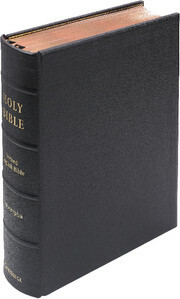 This particular Bible is not for sale in the EU.